Emergency Dentists USA is proud to be able to provide you with a local list of Des Moines emergency dentists so that you can receive the care you need when you need it. If you are experiencing mouth pain or a toothache, it is important that you seek out the care you need or the condition may persist or become worse. Below, you will find a list of local Des Moines emergency dentists who you can call and schedule an immediate appointment with. Great website and service. I am so glad that it was free to call, the staff was very helpful and found me a dentist quickly. There are many dental options available to you in the local Des Moines area to give you the care that you need. You will find many after hour dental facilities in Des Moines. These offices are open until about 7:00 pm, which will provide you with enough time to get to the dentist after work. In addition to after hours’ facilities, there are also walk-in clinics. These clinics allow you to stop by whenever you need to and you do not need an appointment. These offices are usually open on the weekends too. After hour offices are perfect for patients who have a moderate tooth problem that needs to be handled in a timely manner. Walk-in clinics are ideal for patients who have a minor problem and cannot get to their general dentist within the posted hours of operation. No matter what when you are experiencing dental pain, the last thing you want to do is spend time looking and shopping around for a Des Moines emergency dentist. Fortunately, we have taken the hard work out of it for you. All you must do is take one minute of your time and browse the local Des Moines emergency dentists below. Simply choose one near you and schedule an appointment for immediate care. Description Call to be connected with the perfect dentist for you. 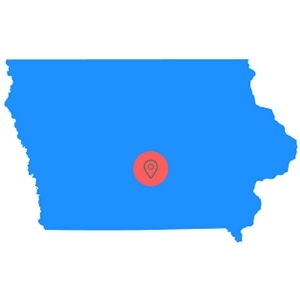 Des Moines is a large city and we have the connections to find a dentist to fit your needs, and can get you an appointment immediately. 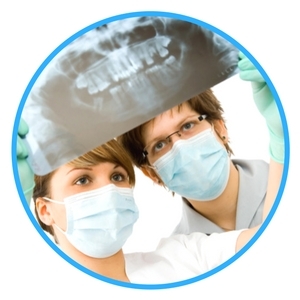 Easily find Iowa emergency dentists with our service. Description: The friendly and knowledgeable staff at Dr. Smiles is here to help you until 7 PM Monday through Wednesday. You can see them for any problems you may have ranging from sudden tooth pain and the need for an extraction, to routine cleanings. Whether you choose to call Des Moines home or are passing through on business, this is an excellent clinic for you. Description: Hintz Family Dentistry is open from 7AM until 5PM during the weekdays, allowing you to get a dental appointment in before work! You can visit the excellent staff here for any needs ranging from routine checkups, x-ray diagnostics, or emergencies such as extractions. With a solid patient satisfaction record and many in the community recommending their services, this is a first-rate choice for Des Moines dentistry. Description: Aimed at providing ER care for adults and children alike and through their use of CEREC one visit dentistry methodology, their patients receive first-rate repairs to broken or cracked teeth. Emergency dental services are among many quality oral services that can be rendered which is inclusive of pediatric care, wisdom teeth extractions, ER restorations, periodontal disease treatment, dental implants, along with other related services. Description: With four nearby locations, these clinics allow you to get the urgent dental care you may require quickly Their services are wide ranged, so chances are that if you are beside yourself with an awful dentistry condition and need help now, this clinic will be able to help. If you have never visited the dental office before, you should arrive about 10 minutes prior to your appointment. You will need to fill out some paperwork, which will ask you basic questions about your medical and dental history. When you call in to schedule an appointment for dental emergency services, you should inquire about the cost of the service, what payment methods are accepted, and whether your dental insurance is accepted or not. While you may not know what your exact emergency is and the procedure you need may remain unknown until your appointment, you should ask for a general pricing idea. This way, you know the low end and the highest end so you can be properly prepared to pay. It is important for you to inform the office staff and dentist if you have any allergies so they can prepare properly for your procedure. In addition, if you suffer from dental anxiety, you should alert the staff. Many emergency dentists in Des Moines offer sedation options. Tooth pain is something that you do not want to ignore, as it may be your only warning sign that something is wrong. The longer you wait to receive care, the more likely it is that you will experience serious complications. You should contact a Des Moines emergency dentist at the first sign of any of the dental emergencies listed below. If you have chipped your tooth, the first thing you need to do is recover the pieces of the tooth and save them to give to your dentist. The next step is to rinse your mouth out with warm water and then apply a piece of moist gauze to the area if bleeding is present. If you are in pain, you can take an over-the-counter pain reliever to ease it a bit. If swelling occurs, place a cold compress on the exterior of the cheek where the chip happened for 10 minutes. If your tooth has been knocked out, the first thing you want to do is recover the tooth by the crown only. You can rinse the tooth off gently, but do not remove any of the tissues that are present on the tooth. You should attempt to place the tooth back into the socket, but do not force it, as this may cause more pain. If you cannot get the tooth back in, simply place it into a cup and cover it with milk. If your tooth has been knocked out, call a local Des Moines emergency dentist immediately. 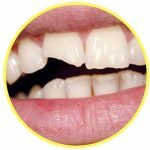 Teeth that have been knocked out have the best rate of success placement when it is done within an hour of the injury. Tooth trauma, such as a knocked-out tooth or a chipped tooth can occur from any type of accident whether you fell, were playing a sport, or were involved in a car incident. 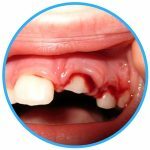 These types of tooth trauma require immediate care. As you seek out immediate care, you should treat your injury properly. First, rinse out your mouth with warm water and then apply gauze to any area that may be bleeding. An emergency tooth extraction may be recommended for you if your tooth structure is weakened, your tooth is very damaged, or your tooth will not respond to other treatments such as a filling or a dental crown. Emergency tooth extractions do not take a long time to recover from and most people only need a day or two. If you are in immense pain with a toothache or any other type of dental issue, you may think that you need to head to the emergency room to receive care. While it does make sense, this is not the place to provide you with the treatment you need. Yes, the ER does handle emergencies, but medical emergencies, not dental. This means that they may not be able to treat your condition at all. There are times when you should visit your local emergency room, even if you have a toothache. Some of those times include when you have fallen, broken your jaw, or suffered serious trauma. You would be better served at a local Des Moines emergency dental office. Here, the dentists are equipped with the tools and equipment to perform all dental procedures to alleviate your pain. These dentists are usually open later and even on weekends to provide you with the best care around. The Emergency Dentists USA portal is designed to provide you with dental information. This information should NOT be used in place of professional medical advice. If you have any type of dental emergency, you should call 911 or head to your local emergency room immediately. If you are unable to find a local dentist that fits your needs, please don’t hesitate to give our 100% free referral service a call. Our staff is standing by waiting to help find a dentist for you! If this is your first time heading to the dental office of your choice, we do recommend that you check the local Iowa dental society to verify all credentials of the dentist. You can check their certifications and licenses at the Iowa Board of Professional Licensure and the Iowa Dental Board.